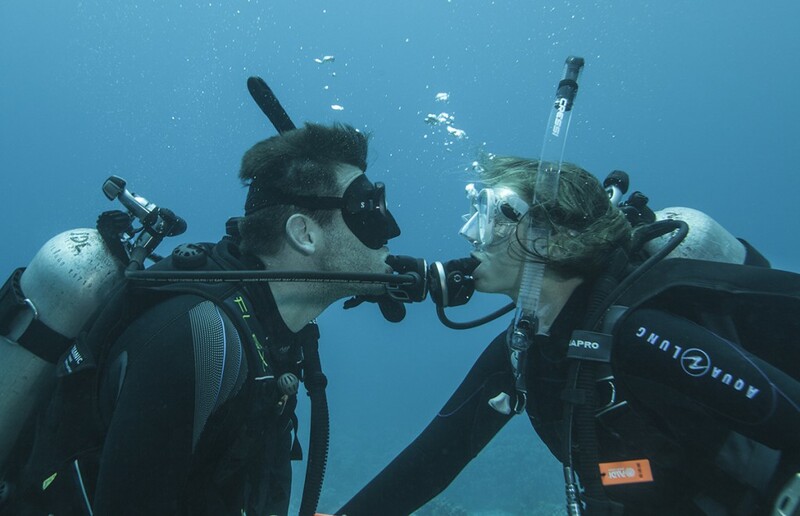 Are you planning your next scuba vacations? I’m sure you are wishing to jump again into the clear turquoise waters of the Caribbean Coral Reefs, don’t you? Then, you are in the right place to be. In this article we tell you everything you need to know about the 9 best Caribbean coral reefs you shouldn’t miss. Let’s go scuba diving! Tortugas Reef in Playa Del Carmen. Why Is One Of The Best Caribbean Coral Reefs? Tortugas (which means Turtles in Spanish) is the most popular coral reef in Playa del Carmen and one of the most famous Caribbean Coral Reefs. The huge amount of turtles you can find there is the reason. In fact, it is a unique dive site where you can spot three of the most common Caribbean sea turtles during the same dive. Hawksbill turtles, Green turtles and the huge Loggerhead turtles enjoy together this perfect habitat. Tortugas Reef ( 18 mtrs / 60 feet ) is cataloged as a “carpet” reef, which means the reef is quite flat, and wide. 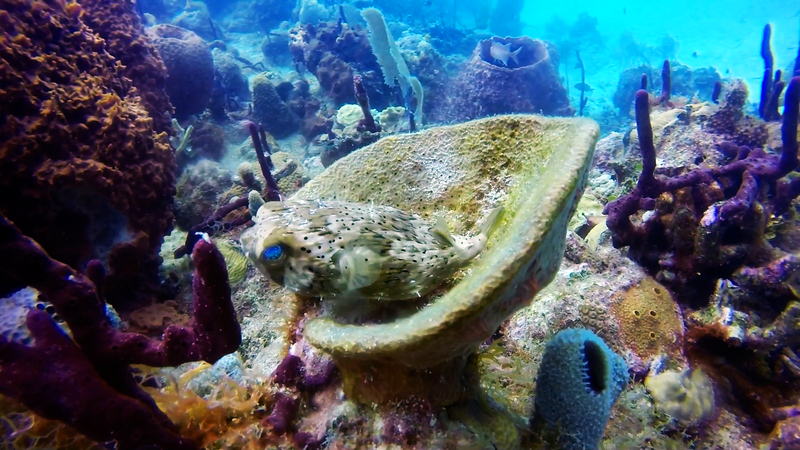 In addition to the turtles you can find in this Caribbean reef, there is a huge barrel sponges. And if all this was not enough, here you can also enjoy an interesting marine life, full of moray eels, nurse sharks, rays…Finally, some peculiar Caribbean fish (which are not so easy to find in other reefs) can be your dive buddies as well. For example, the Orange Filefish, the Batfish, or the Bluespotted Cornetfish. We cannot forget those amazing animals you can find only on specific seasons. During the warm months of the year (usually between June-September) is common to find a huge school of Tarpons at the end of the reef. Believe us, It is amazing to swim between them! During the cold months, when the water gets a bit cooler, it is common to see the eagle rays swimming around and, occasionally, you can also find the breathtaking bull sharks, mainly from November till early March. The current is usually medium, but it can be quite strong some days. You just need to let yourself go with the current and enjoy all the amazing marine life that this dive site offers. We do it from all our Riviera Maya locations, and it is a must for every diver in the area. Do not miss it! Cozumel’s coral reefs are part of the second greatest reef barriers in the world. For this reason, Cozumel has been renamed as one of the Caribbean’s top diving destinations for more than 40 years. 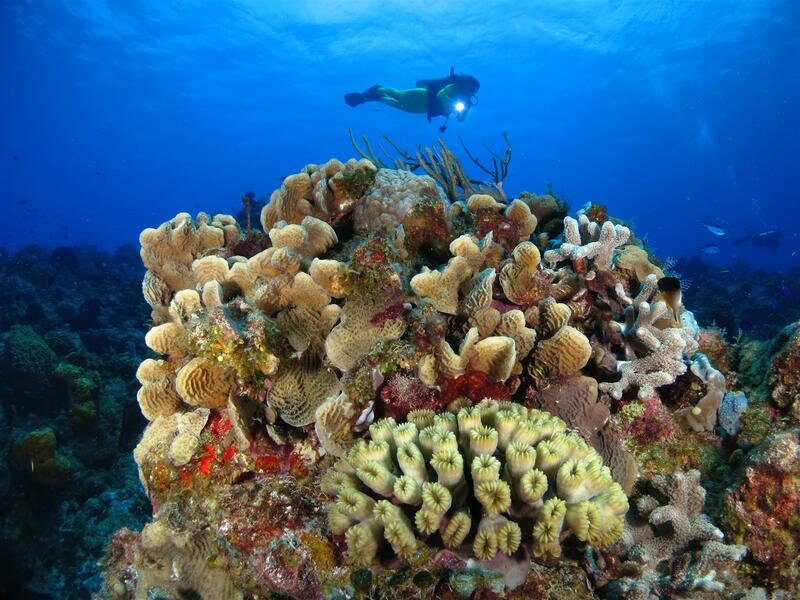 Probably, among the huge offers of scuba diving spots you can find in Cozumel, Palancar Reef is the most amazing one. The reason is Palancar Reef keeps a secret. This Caribbean coral reef is placed in the western shore of the Mexican Island. There, the steady oceanic currents brings the nutrients which marine life need to thrive. Well-nourised, sea turtles, rays, nurse sharks, barracudas, moray eels, lobsters, crabs, and a keleidescope of colorful fish make Palancar their home. Palancar is formed by four separated Caribbean coral reefs. The shallow formations more nearby to the coast, allow both -snorkelers and beginners scuba divers- to get in on the action. A good example are Palancar Gardens and Palancar Horseshoe. Meanwhile advanced scuba divers have a whole adventure world waiting for them in Palancar Bricks and Palancar Caves. There, they will find tunnels, caves and large caverns that sit along the edge of a sloping wall. This coral reef was named by Christopher Columbus as “Jardines de la Reina” (“Gardens Of The Queen” in Spanish) to honor the Queen Isabel the Catholic. It was in the 1990s when the Gardens Of The Queen was declared marine sanctuary by Fidel Castro. This coral reef is another good example of those Caribbean coral reef which are considered natural protected zone. The gardens are open for limited dive tourism. If you are one of the few privileged ones who can scuba dive there, you will do it in a world of coral draped in fish, home of sleek sharks and American crocodiles. The Bayahibe diving excursions are a tourist attraction that gathers visitors from all over the world. Of course, this is one of those scuba diving spots which fame is more than justified. Bayahibe reef is located at the northwestern limit of Parque Natural Del Este, 800 m away from shore, on top of a submerged terrace 18 m deep. It has a well-developed spur and groove system, where its large variety of colorful corals is remarkable. It is also noteworth Catalina reef, which is part of the protected Parque Natural Del Este too. This place is famous because of its wall. It descends more than 100 meters deep and there are numerous coral reefs and tropical fish. And If all this was not enough, it is also one of the places where wreck diving is most practiced. The Saint George puts the icing on the cake in an awesome destination for scuba diving lovers, with a touch of mystery under the sea. We cannot avoid to talk about Hol Chan Cut in this list of the best Caribbean Coral reefs. In fact, this Belizean reef is part of a marine reserve since 1987. It can only be visited during organized excursions accompanied by a guide. This marine reserve is near Ambergris Caye and Caulker Cay, opposite of the coast of Belize. The reserve’s size is approximately 18 km², full of coral reefs, sea grass meadows, and mangrove forest. It is divided into several zones according to the marine habitat. Hol Chan is the most popular zone. 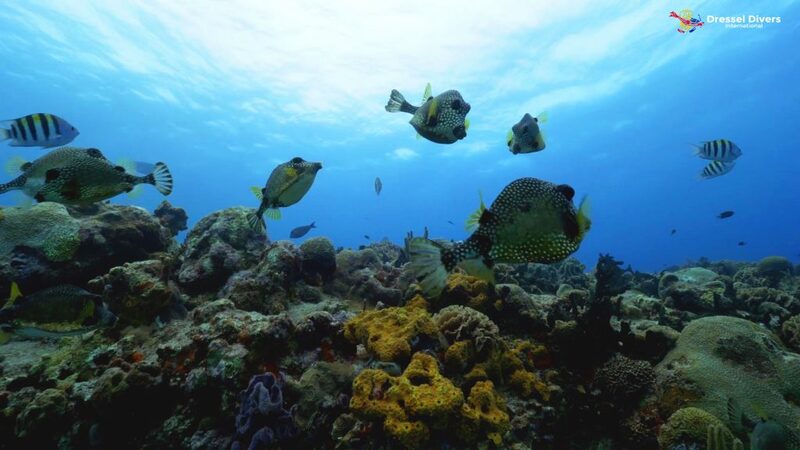 Thankfully, since the establishment of this sanctuary, the return of all species of fish has been going quite well, producing a colorful and varied fish spectacle for divers and snorkelers. Nurse sharks, southern stingrays, and green turtles, among others, will be your dive buddies there. 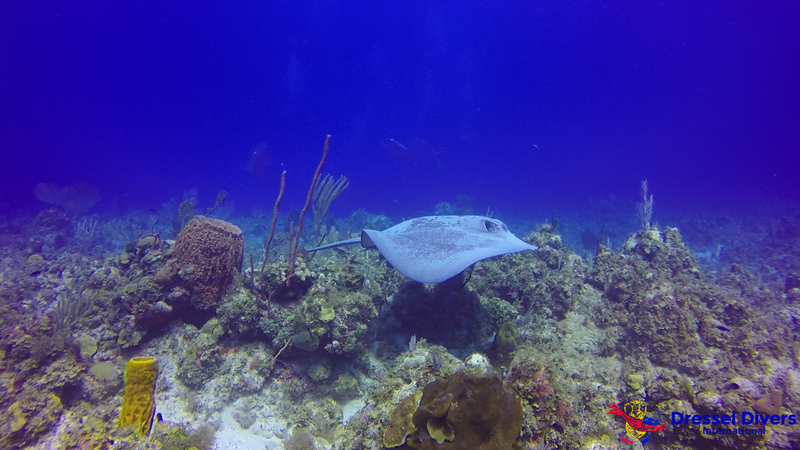 An amazing underwater world, vibrant of life, makes this Jamaican reef one of the most amazing Caribbean Coral reefs you will enjoy scuba diving. Scorpion fish, lettuce sea slugs and a huge variety of colorful coral species are some of its appeals. In addition, the scuba diving lovers can explore its dozens of tunnels and caverns, and visit the nurse sharks that live there. Staghorn corals and black-ball sponges hide all kind of moray eels. Meanwhile, barracudas, spadefish and snappers swim sorting its crevices and nooks. The Devil’s Reef is, in fact, an underwater ridge. Therefore, it is indicated for all kind of scuba divers. 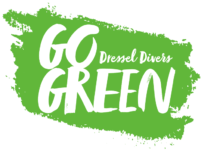 The upper reaches (about a half mile off shore slopes down to about 65 ft / 20 m) delight to less expert scuba divers, while the deeper parts (the wall drops down until 130ft 40/m) can be dived only by Advanced Open Water certificated divers. Yet again, we encountered a protected area among the best Caribbean coral reefs in Bonaire. In fact, the entire island is surrounded by a marine park. Despite the fact Bonaire is famous for its shore diving, the big pearl of the treasure is Kline Bonaire. Klein Bonaire (from the Dutch “Little Bonaire”) is a small uninhabited island, and it is separated from the main island by about a half-mile of open sea. 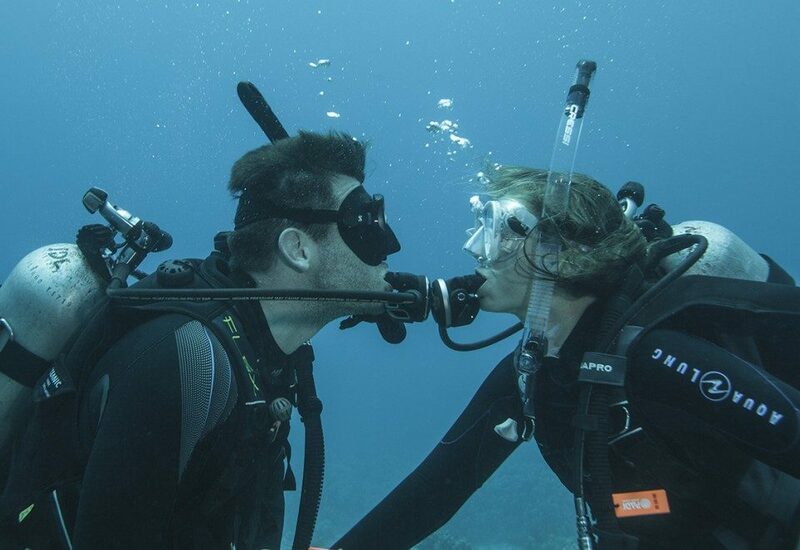 So you will have to do a short boat ride to start your scuba dive. There, you will find healthy corals and many wonderful sponges. Although Bonaire is not typically known for its larger creatures, there is enough marine life to keep your camera occupied taking pictures. Bellow its waves, you will see a large variety of fish, and schools. In addition, it is also a good place to dive alongside turtles, because of its tortoise hatchery. There are multiple dive sites on Klein Bonaire. Therefore, the number of dives you can do in one day only depends on your energy and the time you will spend in surface intervals. In your opinion, which are the best Caribbean Coral Reefs? You have read about which are the best Caribbean Coral reefs, but this is just our opinion. What about you? What are you favorite Caribbean Coral reefs. In how many have you dived? Which ones are in your bucket list? Drop us a line with your thoughts! We are willing to read you! .